We got some hint from the Motorola that they are about to launch the top notch or water-drop notch design smartphones anytime soon. There are two different smartphones can be expected from the brand and one of them is Motorola P40 that too with 48MP rear camera. 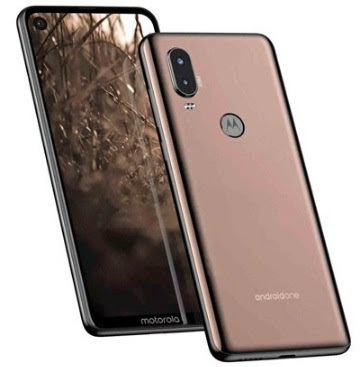 The other one might be Moto Z4 Play smartphone. Motorola has earlier released some of the mid-range smartphones in 2018. So, they may come up with the latest and high-end devices as well, after Lenovo's take over of it. If you are interested to know more about Motorola P40 launch date, release date, features, specifications, price, first impression, unboxing, comparison, review and hands-on etc. then you could find some of them once they are officially announced or launched the phone. The phone is expected to come with the punch hole display, 48 megapixel Sony camera, Android One operating system, 6.2" display screen and on. Motorola P40 most probably to the successor to Moto P30 smartphone. The phone also expected to have 360-degree video feature. There are some leaks, speculations and rumors about Motorola P40 mobile phone. We however would like to bring forth some of its real info as soon as it is officially announced by the brand. If you are interested to know when Motorola P40 will launch and what's the features of Motorola P40 phone etc. then stay tuned for the latest update on this website.